won 56 straight matches from 2012-13; lost only one set in 2013 (finishing 96-1); over 420 career winsGreat hits only win sets. Defense and keeping the ball from hitting the floor wins matches. 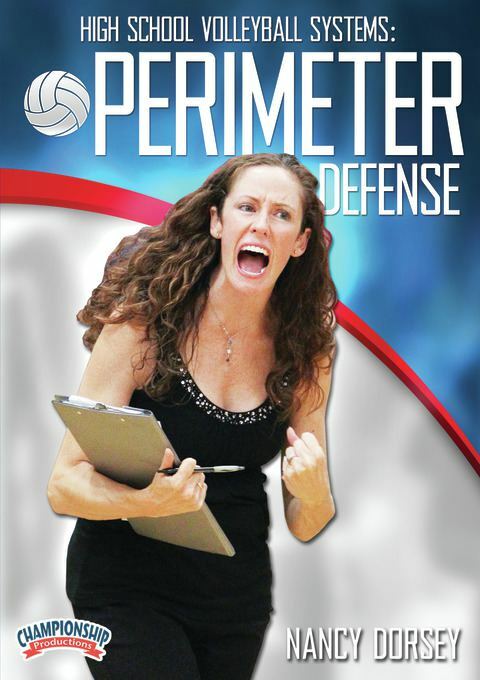 Six-time Kansas State Champion Nancy Dorsey uses her knowledge and experience to teach the perimeter defense system. She walks you through the basics of the defense then gives you the drills you need to teach your players how to play it. Coach Dorsey shares game-like drills to train your players and work on the critical movements that are needed to run this defense. These games allow players to grow more quickly and to see the different situations they will face-situations that force them to move quickly and go after every ball. 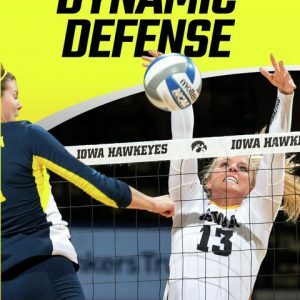 She demonstrates six defensive team drills that incorporate the principles of making this defense your bread and butter defense. Many of the drills are so flexible that adapting them to your team requires only slight modification. Coach Dorsey even shares a few of the modifications she uses to make the drills more challenging. While the perimeter defense is more complex than the rotational, middle up, and other defenses, Coach Dorsey offers enough steps and suggestions to keep it understandable, no matter how experienced you are as a coach. The tips/keywords she uses can be used by all coaches to assist in their players’ learning process.